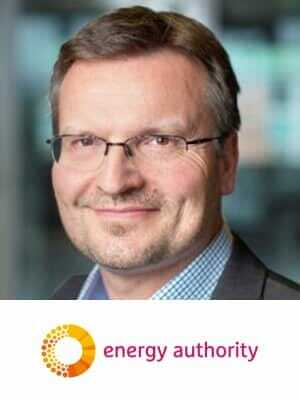 Veli-Pekka is the head of network regulation section and a member of the executive board to the Energy Authority in Finland. The Authority has responsibilities in electricity and natural gas networks and markets, as well as in, emission trading, energy efficiency and licensing renewable schemes. He has been working with several expert groups involved in smart energy solutions in addition to electricity networks. Working for two decades within energy sector, he has a broad experience in regulatory aspects of electricity and gas distribution and transmission network operators. He has specialized in economic regulation and incentive schemes with view of an economist. He is an active member of the Council of European Energy Regulators (CEER), especially with the Distribution System working group (DS WG). As a former co-chair of the Electricity Quality of Supply and Smart Grids Task Force (EQS TF), has given him a broad view on smart solutions in Europe. He is also active within academic research as being a former member of advisory board of the IDE4L project and as being on the advisory panel of the EL-TRAN project. Panel Session : To What Extent Does The Market Need Customer Storage Incentives To Achieve The Desired System Outcomes From Residential Energy Storage?